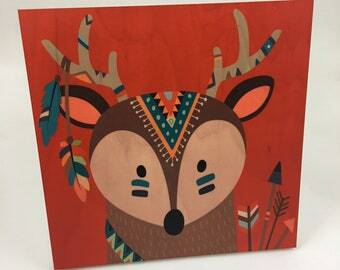 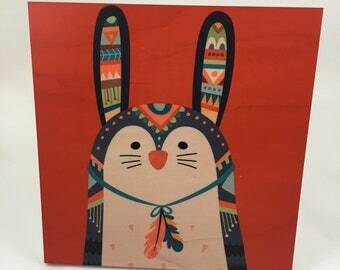 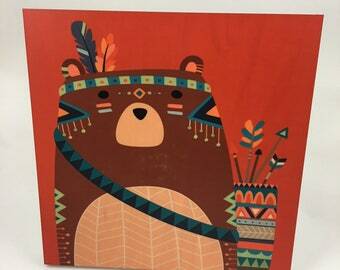 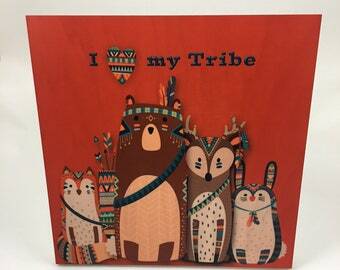 I Love My Tribe, Tribal style graphic art for Nursery or cabin decor. 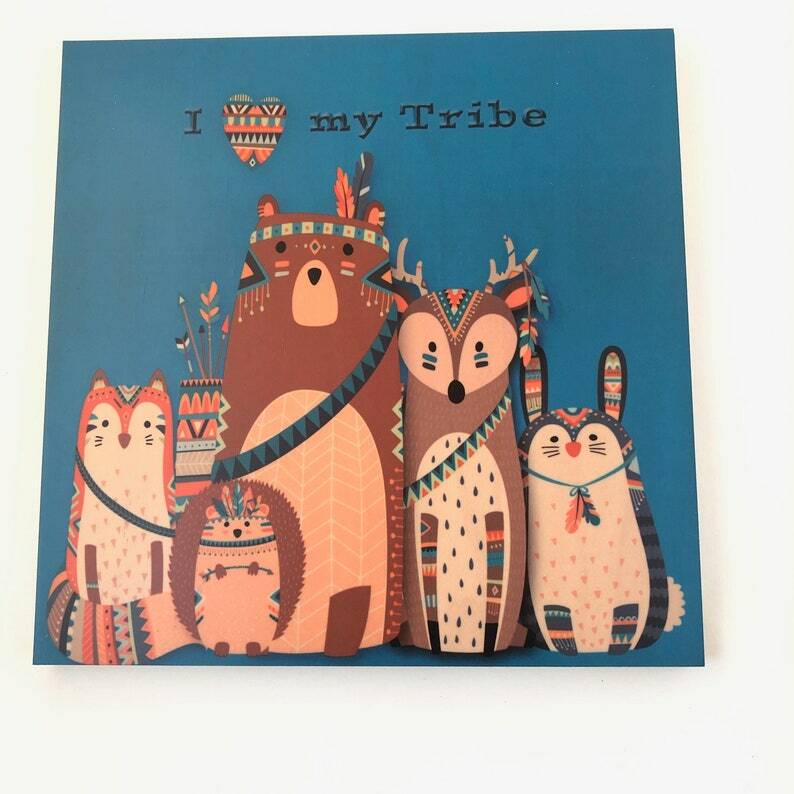 This colorful group of woodland animals are dressed to the tee in their finest tribal attire complete with arrows and quiver. This listing is for one 8x8 Turquoise Tribal wall plaque.